HON chairs are popular in businesses around the world, and there are a few people who respect the brand and use the chairs at home. However, I wouldn’t consider them to be such a viral success as Herman Miller and Steelcase. These expensive brands like Steelcase and Herman Miller represent the epitome of ergonomic design and durability, but in most situations, users find that the chairs are just simply too expensive to warrant a purchase. Sure, some people like myself who spend 8+ hours a day on a chair understand that they are worth the purchase. In fact, the Steelcase Leap chair I’m using right now was built and sold in 2001, which gives you some indication. HON strives to retain a more practical sort of brand with chairs that don’t reach sky-high prices but still retain quality comfort and durability. HON Chairs usually retail around $100-500 which is a good price point for someone looking to invest in a quality chair on a tighter budget. How long do HON chairs last? Most HON chairs have a 5-year warranty, but some parts on some chairs have differing warranties. Each chair isn’t locked to a certain warranty per se, but I’ve found information on HON’s website that includes even 12-year warranties on things like the ilira-stretch knit materials in the HON Nucleus chairs. I’ve found a few Amazon reviewers to have problems or tears in their chairs, only to find that HON would completely replace their entire chair! 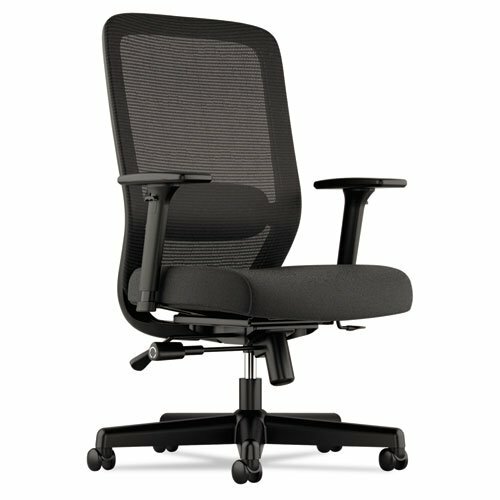 What are the best HON chairs? So now that they have some kind of idea of what HON chairs are like, and who they are for, how do you decide which one to get? The HON Nucleus is one of the best chairs offered by HON. The chair is designed to be supportive without a traditional lumbar pad, and the fabric used in the back and stretched across the metal seat frame is similar to a hammock. It’s springy and super comfortable, and the elastic material used (illira-stretch) has a 12-year warranty. This is HON’s best looking and most comfortable chair. See the full HON Nucleus review here. 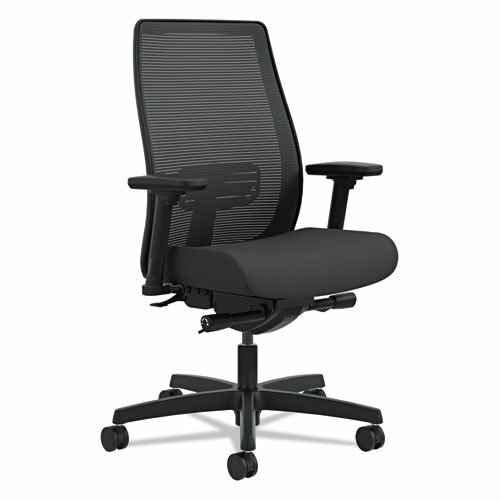 The HON Ignition is a great chair with tons of adjustments that you would expect from an ergonomic chair. However, it’s cheaper than some of the other HON chairs that I would consider the “premium” lineup from HON. Coming in $40 less than the Endorse, you lose the opportunity to get a headrest add-on as well as traditional lumbar. The Ignition also has a cheaper upholstered version which is sub $300. See our full HON Ignition review. I like to think of the Endorse as the Ignition’s sleeker older brother. The chair has most of the same features and results, but the lumbar pad is a nice touch as well as the ability to add a headrest add-on. See our full HON Endorse review. The HON BASYX is a great chair if you’re on a strict budget. 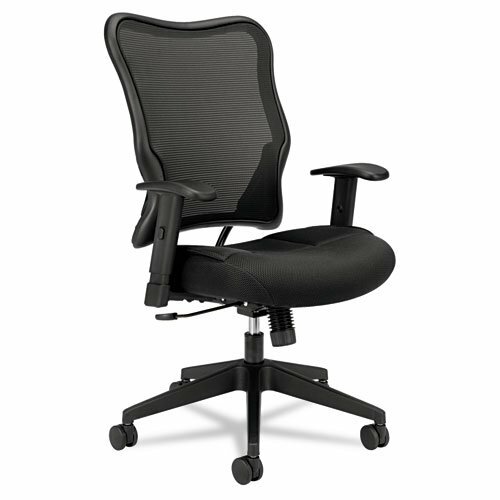 The chair features adjustable lumbar support, adjustable arms, and seat height. You’ll find a lot of cheap chairs out there claiming to be ergonomic, but this is one of the best low-priced ergonomic chairs that not only looks decent but performs well with a good warranty behind it. See our full HON Basyx review. 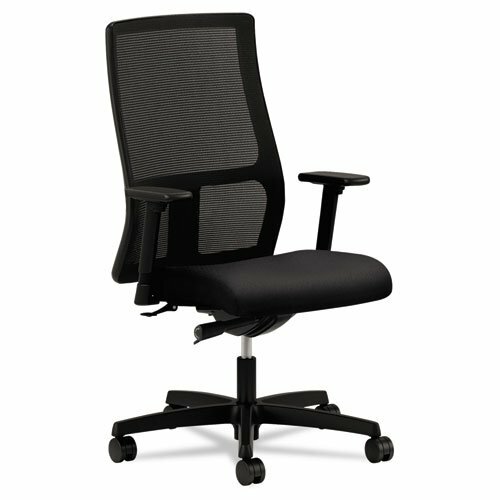 The HON VL702 is a great chair similar to the previously mentioned chair. It’s often out of stock, but if you manage to catch it in stock, or don’t mind waiting a few weeks, you’ll be impressed by the high back mesh with great back support and synchro-tilt which lets you recline comfortably without causing your seat panel to become uncomfortable. 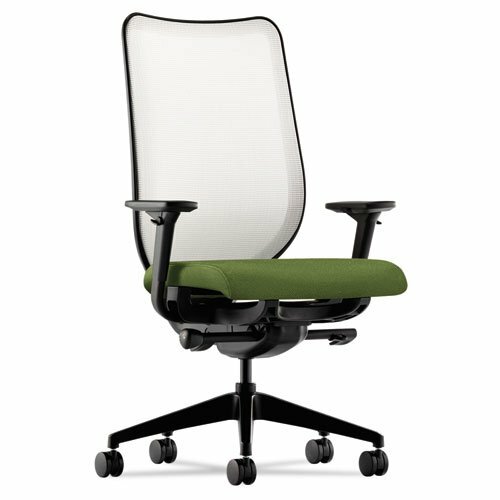 HON chairs are quite good, and I think they are my favorite chairs to recommend to people if they can’t afford chairs like the Steelcase Leap. While you might lose out on some fancy features or stylish design, HON chairs will perform similarly and last a long amount of time with provided HON warranties which have great company track record.